I follow quite a few beauty bloggers, their tips are great when it comes to some tricks ( mix a little bit of illuminator with your day cream or foundation and the result is a much more luminous face that looks younger and dewy), but I also love when they share secrets I wouldn’t otherwise know. For example , when it comes to most day creams did you know that generally the best creams follow the 20-60 rule? Always pay more than 20euro ( 200NOK) but less than 60euro ( 600NOK). Anything less is not good quality , anything more and you just pay for the brand. There can be some exceptions to that rule of course, but this little tip has saved me a lot of unnecessary costs and trouble. Not to mention a lot of doubt whether I treat my skin well or not. 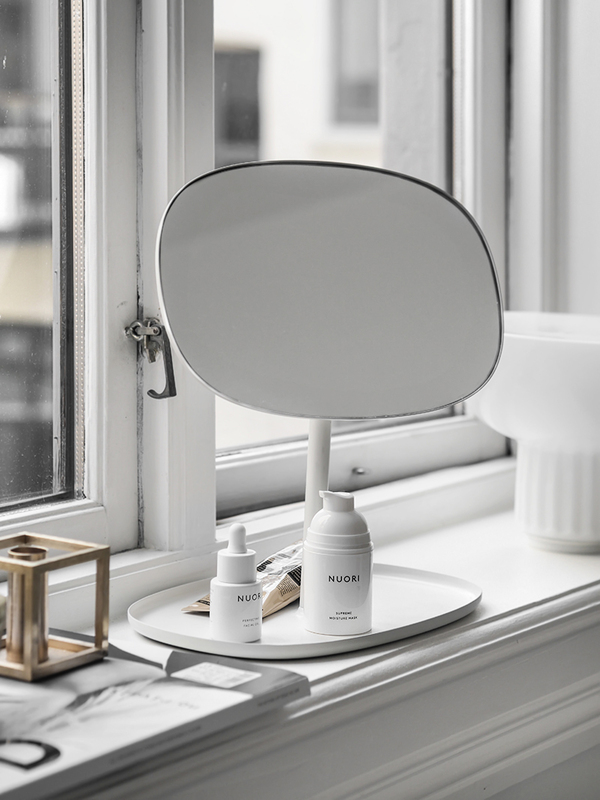 There are a few that have emerged as favorites over the year for me, Aesop is a staple in my routine and lately I just discovered Nuori ( all in very good range of price) , but if I have learned anything from blogging, is that I can trust my fellow beauty expert colleagues to do their job as well as I do for interior or lifestyle, and they have some favorites and staples in their routine that I have yet to try and I have been really looking forward to! This week Ellos has some of the day and night creams I have wanted to buy for 20% off, a really good deal especially if you don’t travel often . My tip however? Duty free doesn’t always carry all my favorites and I have found that a good balance between online deals and traveling is the best way to get the most value for money! And I bet some of you didn’t even know Ellos had quite the selection of beauty products right? I was surprised when I started digging for deals! Spoiler tip : Next week some perfumes will be off as well (fingers crossed the ones I love will be on discount) and since I am a huge lover of scents I will be doing a roundabout of my favorites ,so look out for it! For now, check below my recommendations for day and night creams , but you can also find all the deals in this page as well. :: Crème Fraiche Rich Cream 50ml by Nuxe | This day cream from Nuxe is one I have wanted to try for a long time, with ingredients like acacia, peas, green tea, sweet almond, oats, coconut and soya, you understand why! Its effects last 48hours as well, this one has gotten so good reviews! :: Nuxuriance Ultra Replenishing Night Cream, 50 ml by Nuxe | A budget friendly night cream from Nuxe that helps restore the skin to a more vibrant stage, fills out small wrinkles and stimulates skin enzymes. :: True Oasis Oil-Free Replenishing Gel Cream 50g by Bare Minerals | With a scent of bergamot and eucalyptus , this day cream gel has a refreshing effect on the skin and it smells amazing as well! 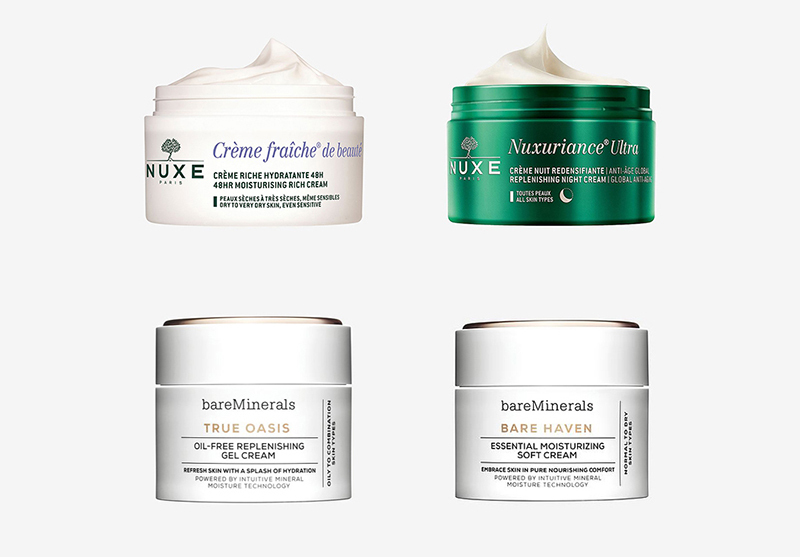 :: Bare Haven Essential Moisturizing Soft Cream by Bare Minerals | The creamy version of the True Oasis, wear when you need more moisture and longer lasting effects! And of course, if you exceed 499 NOK , shipping is free! Happy shopping!